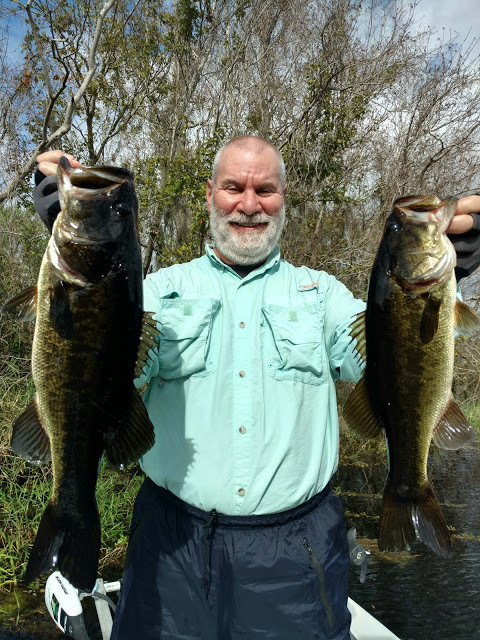 Spawning flats, spawning flats, spawning flats, this is the time of year on Lake Toho where if you’re not fishing on one you’re simply not catching fish. With the warm winter this year the fishing has been even better than usual! 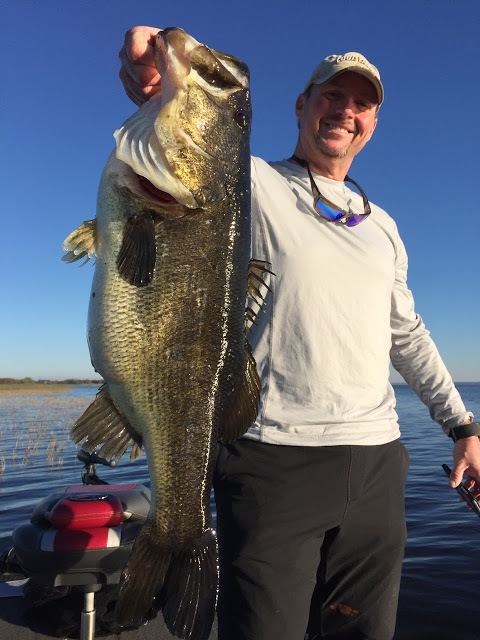 It’s some of the best fishing we’ve ever seen here on Lake Toho! We’ve been bringing in boat loads of big Lake Toho bass daily on our charters and we haven’t even gotten to the late February-early March crunch time for big bass! Figuring out what stage of the spawn these fish are in on a daily basis is key to finding and catching these swamp donkeys. Sure you can always go straight into the spawning flats and catch little bucks everyday but staying consistent with the big females like we are on our charters requires you to slow down and figure out whether they are on the inside edge, outside edge, or out on deeper hydrilla waiting for the next full moon or heat wave to drive them in to spawn. For the most part if they’re not spawning on Lake Toho the big females will be out deeper or in the thick stuff. The typical way I like to find these bass is to start from the inside out on a spawning flat. Start shallow where the fish would typically be spawning then slowly work your way out and around until you find the big momma’s. I can’t say that there is any particular bait I like to use for this. Of course moving around from spot to spot with shiners always works, but for artificials I usually switch around a variety of lures such as a lightly weighted worm, rattle trap, swimbait, swim jig, jerkbait, and fluke. I just choose what I feel will work the best with the type of cover and weather I’m dealing with. For example if the water is cold lets say in the 50’s and there is no wind and a blue bird sky I’m going to go with the worm, fluke, and jerkbait, or maybe even a senko if they really don’t wanna bite. I wouldn’t even think of using a swimbait and swimjig in those conditions. Now however if the water is in the 60’s and there’s some wind and clouds in the sky, I’d probably start with a rattle trap, or swimjig. Because they are more effective for finding fish. Once you find the fish don’t be afraid to slow down and fish a senko or plastic worm to get the most out of an area. 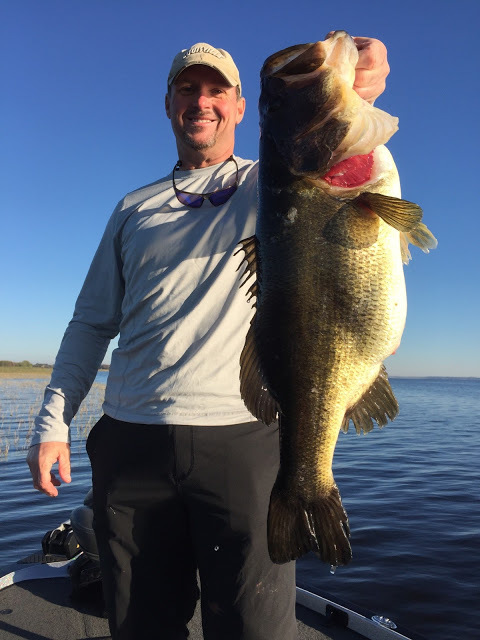 Hopefully these tips help you catch them like we are on our Lake Toho guide trips right now. Whether you are in Florida or another state these tips will help you figure them out no matter where you are as long as they are spawning.